One of Britain’s premiere indie-rock acts, the missing link between the danceable post-punk energy of Talking Heads and Radiohead’s trippy melancholy sounds. 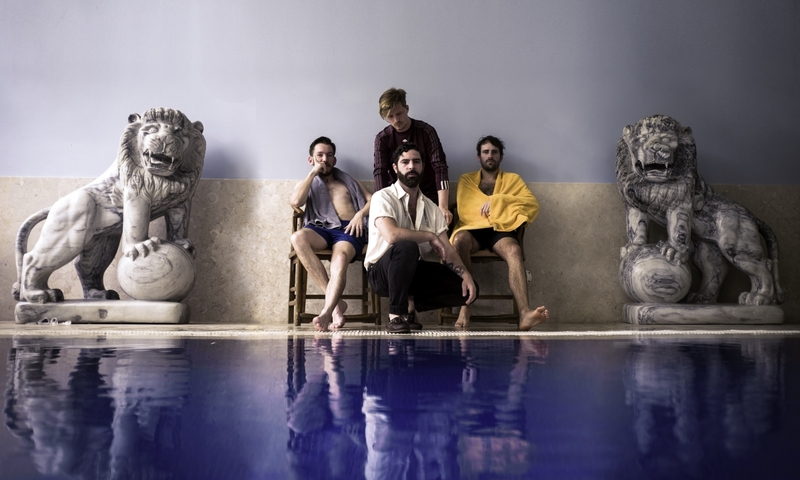 After a four-year hiatus, Foals return as a four-piece with the excellent album Everything Not Saved Will Be Lost – Part 1 (and a follow-up coming in September; will they pull back the curtain in Katowice? ), a perfect reflection of the anxious zeitgeist sweeping the United Kingdom and the world. 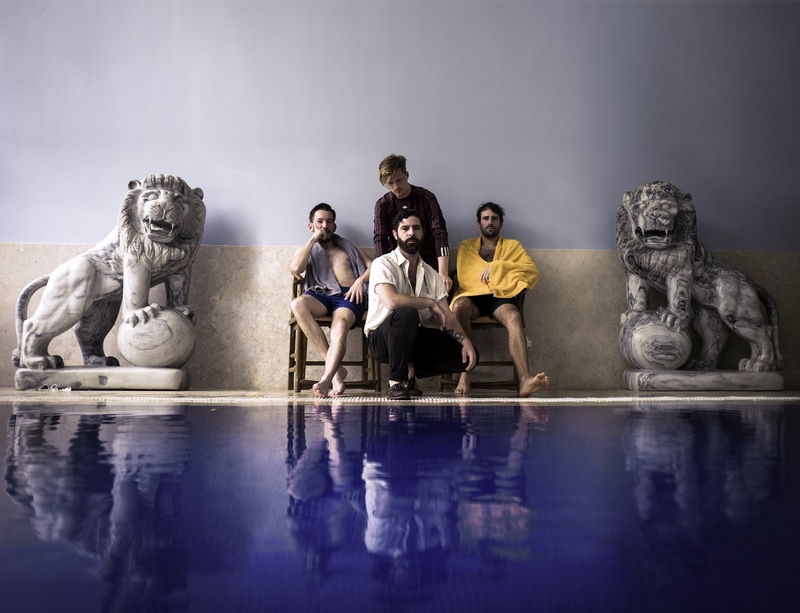 But there’s a reason why frontman Yannis Philippakis and company have consistently reaped in nominations and prizes for UK’s best live band: strap in for one of the biggest concert events of the season! When rumors of Stereolab’s return for series of live performances swept the globe in December, many of you wrote in to tell us that they just had to play at the OFF Festival. And we couldn’t agree more. This season, for the first time in a decade, Laetitia Sadier and Time Gane will take the stage side by side, and Katowice is on their itinerary. Founded in the 1990s, Stereolab made music that was ahead of their time. Adding an experimental twist to subtle beauty, Stereolab proved that playing pretty songs didn’t mean having to put away your ambition. Today, records like Emperor Tomato Ketchup and Dots and Loops are steadfast classics. They may not have achieved the success they deserved, but could anyone even imagine the borderlands of pop and alternative music today without the influence of Stereolab? The OFF Festival has featured music legends with careers going back decades, but this is the first time a 66-year-old act has appeared in our lineup. And that’s not the only record. Founded in 1953 by Stanisław Hadyna and Elwira Kamińska, Śląsk (Polish for Silesia) is now an ensemble of over one hundred people, and comprises a choir, ballet company, and orchestra. It’s one of the most decorated Polish folk ensembles, and has visited 44 countries on five continents, giving over seven thousand performances for over 25 million audience members. It’s time to add the OFF Festival to that list. And since they’re performing in the Silesian capital of Katowice, look forward to an extra special repertoire. He was only fourteen when his mother threw him out of the house. “You’re either going to be in prison or you’re going to be big,” she told him as she slammed the door. Octavian Oliver Godji, a French-born citizen of London from an Angolan family, spent the next few years on the streets, but he had a goal in mind: he wanted to make music. His fortunes turned when he landed a scholarship to study at the BRIT school, whose famous alumni include Adele and Amy Winehouse. Though he never graduated, his classmates helped him out on a few mixtapes that drew the attention of people in high places. Octavian has since won the BBC Music Sound of 2019 and is collaborating with the likes of Diplo and Mura Masa on his upcoming debut album, which is likely to be released ahead of the OFF Festival. “I’m a big fan of science fiction. These things happen in my dreams. This project envisioned as a platform for understanding the modern world and its musical identity,” says Sofyann Ben Youssef, composer and musicologist, pianist and producer, explaining his motivation for creating Ammar 808. Sofyann took the traditional songs of the Maghreb and launched them into space with some help from his singer friends from Morocco, Algeria, and Tunisia—and the legendary Roland TR-808 drum machine. Anyone who turns down this invitation to an Arab-futurist party… No, let’s not go there. This is one invitation you can’t reject. She’s “breathing new life into love songs” raved a recent Pitchfork profile, and it’s hard not to agree. Tirzah Mastin sings her songs without the characteristic passion of r’n’b, but there’s an enviable feel to her delivery. The debut album by the London resident — the laid-back, sleepy, soulful LP Devotion — was produced by Mica Levi a.k.a. Micachu, who won worldwide acclaim for her soundtrack to Jackie. There’s no better score for a steamy summer afternoon. “I’m still dancing today, I’m still singing today, but it’ll be over tomorrow / Gotta get up in the morning, gotta go to work.” This band would be the perfect closing act for the festival, but they’ll do fine any day at any time, because Bartłomiej Maczaluk and Jakub Żwirełło have an extraordinary knack for capturing the spirit of the moment, the bittersweet essence of life at the twilight of the second decade of the 21st century, which makes shameless use of 80s and 90s props (musical and otherwise). Zawody, the duo’s debut album, boasts retro nostalgia yet is somehow totally in the here and now. More importantly, though, it’s a collection of excellent songs that we’ll hear live. The image of Dionysus that graces the cover of their latest album, Vacuum, might evoke thoughts of indulgent revelry, but the Oleśnica-based band Entropia isn’t asking you to dance: they’re drawing you into a destructive trance. This trippy, cosmic post-black metal can’t be compared to anything on the Polish music scene, but it’ll definitely be a hit with fans of krautrock and anyone who likes to get lost in the woods while tracking down Oranssi Pazuzu and Wolves in the Throne Room. This year’s OFF Festival also features the previously announced acts: Suede, Neneh Cherry, Aldous Harding, Superorganism, Perfect Son, Electric Wizard, The Gaslamp Killer, The Comet is Coming, IC3PEAK, Daughters, Lotic: Endless Power, The Body, Dezerter gra “Underground Out of Poland”, slowthai, Black Midi, Trio Jazzowe Marcina Maseckiego, OM, SAMA‘, Jakuzi, Phum Viphurit, Durand Jones & The Indications, Lebanon Hanover, Loyle Carnes, Emerald, Boogarins oraz Bamba Pana & Makaveli.